Ok so I just cleaned out my 14g biocube that had a ich outbreak about half a month ago moved to bigger tank since. Ok so I dumped 1/2 or maybe less of a bottle of white vinegar in the tank and filled it up with worm water tossed all the equipment in with it now letting it drip most water out then to let it dry. should this tank be ich free now? Yeah, sound 500% ich free. 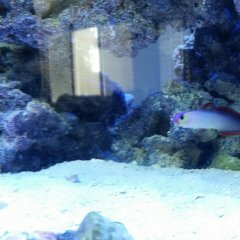 You don't need sand, but you do need rocks or other objects for the fish to hide in. You also need to have it cycled. If its a qt tank then it's best to not use liverock in case you need to medicate. You will need to use sponges in the filter for biofiltration if not using rock. Water alone from the lfs will not have enough of the necessary bacteria to start up a tank and fill the sponge with bacteria. If the lfs is trustworthy, you could ask for some of their filter floss to put in your filter with your sponge to help populate it. 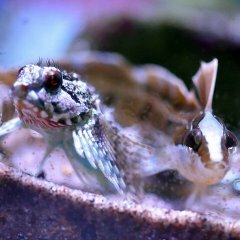 Agreed with the post above, you don't want live rock or sand otherwise it's a royal pain if you have to treat fish in the tank (which you almost certainly will at some point if you stay in the hobby long enough). As mentioned you could go freshwater style with established bacteria in the filter media. It won't maintain a reef tank, but it should be enough to keep things safe for 1-2 fish at a time in QT (which is all you really want anyways). Personally I would never purposely add LFS water or filter media no matter how good of a LFS they are. I would just cycle the tank and speed it up with bottled bacteria if you want. People often use pvc pipe for hiding spots. I tend to use live rock in mine at times for finiky fish and just pull it if need be.